Pete Levin Films: I made some ink!! 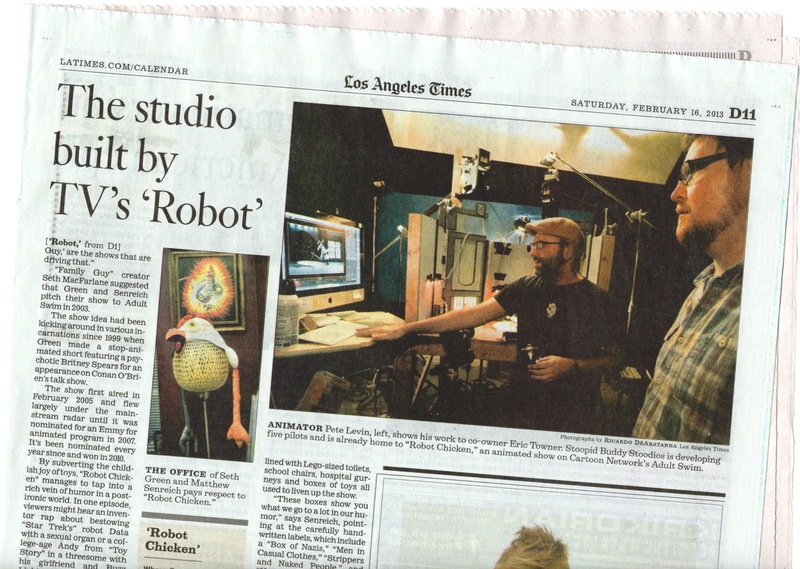 This last Saturday's issue of the LA Times had a great article about Stoopid Buddy Stoodios, the place where I've been working the better part of the last year and the home of Robot Chicken, Spy vs. Spy, and Dinosaur Office. I can't say enough good things about everyone at the studio and I'm happy to see the Buddies are getting the recognition they deserve! 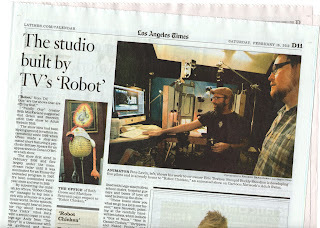 If you still read your paper the old-fashioned way, you might have seen this bearded animator while you were drinking your morning coffee. Check out the little Spy puppet I'm holding!